My sister and I saw a small but absorbing show, at the Cleveland Museum of Art, of the work of 60s minimalists Eva Hesse and Sol Lewitt. The minimalists played a standard modernist game, making work that both questions traditional notions of beauty, while trying to find new types of beauty, and, in this, also find a new and meaningful role for the artist. Did they succeed? You could argue that yes, they did, and spectacularly so, with influence beyond their wildest dreams, taking as evidence the fact that a good number of these works are indistinguishable from the designs used on rugs, wall hangings, and the like, at places like CB2. Or you could take this as evidence of a sort of half-success, their aesthetic explorations having had far more impact than the questioning that drove them. Anyway, what struck me about this show was less the work than the curation, which, in the manner of much contemporary curation, was both, to my taste, overbearing and under-reaching. The curator’s focus is on delineating the impact that Hesse’s work had on Lewitt’s. The evidence is statements by Lewitt to this effect, as well as a turn he took around the time of her death, following her in favoring what he called the use of “un straight” lines, and letting chance play a role in shaping his art, whereas before he’d been all about straightness, strict geometry, and his own control. That’s fine, and interesting, and certainly borne out by the works displayed, particularly what I’d call his programmed works, where he provides a set of simple instructions for others to create a piece, these instructions written in such a way as to ensure that happenstance and error will cause each such effort to yield a different result. But reading the – many, many – cards and letters that Lewitt sent to Hesse, it seems blindingly obvious that the most important factor in their relationship was his perhaps platonic, but obviously deep and apparently unrequited love for her. Could his turn be explained not so much by his admiration for her art, than by his desire to show this love, in his art, and then pay tribute to her after her death? Couldn’t the possibility at least be mentioned, somewhere in the copious wall text? Would it somehow diminish her stature as an artist to do this? I can’t see how. For me, the show would have been better, and the story made all the more poignant, and Lewitt’s work more affecting, had the curator told us more about the personal side of their relationship, and its affect on his practice. Moreover, doing so would be true to both of their celebration, in their work, of the role that chance and the irrational, or at least non-rational, have in shaping all art, and all lives, theirs included. Would US progressives support EU-style free migration from Canada and Mexico? Since the Brexit vote the other day, much of the mainstream media – and much of my Twitter and Facebook feeds – has been taken up by articles and posts by progressives asserting that the Leave victory was driven by xenophobia and even racism. I don’t doubt that dark motives made some Britons vote Leave, and neither do I doubt that those with such motives have much in common with those who support Donald Trump and his radical anti-immigration plans. The EU allows free migration among its member countries, and many chose Leave because they want to curtail migration into Britain, particularly from poorer EU states. Is this xenophobia? Perhaps, but regulating immigration, on its face, is hardly the same as hating foreigners and wanting to keep all of them out of one’s country. And if this is the case, then do US progressives support the US allowing open immigration from, say, Canada and Mexico? If so, I applaud them – I think this would be, on balance, a good idea, and a very good one from a humanitarian perspective. And if US progressives support this view, where have they been the last seven years? Under Barack Obama, the INS has deported more migrants than any other president. In his second term, he’s proposed allowing the children of some of these migrants to remain – but this begs the question of why his INS is working overtime to deport their parents. I haven’t hear anything about Obama’s harsh anti-immigration policies from any but a few progressives, either during his first term or his second. Neither have I heard progressives demand the Hillary Clinton and Bernie Sanders break with Obama on this score. I’d love to see more progressives either pipe down on Brexit, or stand up for applying the EU migration model here at home, between the US and our closest neighbors. There’s a very good restaurant in Poipu, in a house with a beautiful veranda opening onto a well-tended garden, on what used to be a sugar plantation. The menu is full of Hawaiian ingredients, and the waiters of course point this out. We could walk there from our hotel, so we came back three nights running. I got to thinking about locavorism, and the line between celebrating what’s traditionally raised and eaten in a place, and saying no one in Ohio should ever eat a papaya. Tyler Cowen recently cited a study arguing that contemporary foodies are a conservative force in the culinary world, because their locavore beliefs prevent them from appreciating innovation in cooking, if it combines ingredients from far-flung cultures, or is otherwise “inauthentic.” Hmm… Back on Oahu a few days later, we ate at a casual but ultra-hip nouveau dîner that was all about mashing up preparations and ingredients from different cultures, including at least one – Korean – that, as far as I know, has no strong historical link to Hawaii. Yet here too the menu and staff made much of the ingredients being local. The study, at least as excerpted by Cowen, makes a point – some locavores can come off as tiresome and dogmatics, others as twee. But in my experience, locavorism is more of a jumping-off point for innovation than a barrier to it. Kauai has a few towns and resorts, but seems to have more chickens than people. Many – perhaps most – of these chickens are on t-shirts, posters, and bumper stickers. Oddly, there isn’t much chicken, or at least chicken isn’t much featured, on Kauai menus. The food, at least on the protein side, is all about fish and pork. Especially pork. I realize that celebrating the chickens has to do with seeing them as an icon of free-wheeling, slow-moving liberty. They amble everywhere they want, living off the land and, with no predators and used to humans, never seeming to be much bothered by anything. Still, I might put a pig on those bumper stickers. Or a fish. Hiking on the spectacular Napali coast isn’t really that hard, but if it’s been raining, there is a good deal of mud to slip and slide around in. There are also, apparently, flash floods, with rivers and creeks that cross hiking trails cutting them into parts, and stranding people, sometimes for days, until the waters go down. There was a maintenance worker at the trailhead who took great joy in buttonholing us and telling us about this happening, then scolding for being unprepared. It was unclear how we’d prepare other than taking water, which we had, and being careful. Also there is an unmissable sign at the trailhead, giving the same info and tips in a far less dire, and thus easier to digest manner. In the event, the mud and one ford, across a waist deep, fast-flowing creek, holding a rope, with shoes tied together and hanging across a shoulder, were mild challenges. We could see the small island of Niihau in the distance, off Kauai’s southwest shore. It’s owned by a family, the Robinsons, who bought it in the 19th century. The two Robinson brothers who run the island now have some out-of-the-mainstream ideas. Or rather, they hold some mainstream ideas – modernity isn’t so great, we should honor the traditions of less-developed places and people, and be stewards of nature – that they take to extremes. The are no paved roads or stores. They discourage the locals from speaking English rather than Hawaiian, and leave them to subsist by hunting, but don’t let them use modern weapons. There’s no electricity outside a solar setup on a school. And save a few tourists who are helicoptered in, to hunt or snorkel on isolated beaches, there are no visitors who might bring modernity with them. Perhaps the family is just too broke to build anything since its ranching business shut down, driving away most of the population, and too proud to let outsiders see what’s become of the place. Anyway, there is something eerie about somewhere you can’t go, or at least can’t go to freely, because the people in charge of it don’t want you there. Especially if that place is what I’d call a first-order geographic entity, and those in charge of it make much of its differentness, and the need to keep you out, to preserve that. The parallel is inexact, but looking at the sun set behind Niihau, I had something of the feeling I had, looking into East Germany from Checkpoint Alpha, when I was there as a college kid in the mid-80s. We’ve come to Oahu a number of times in the seven years since our close friends moved here from Berkeley. Every time, I spend the first few days exhilarated at being in a beautiful, distant place that’s at once strange and familiar, and pleasantly slow-paced. I muse on the possibilities of moving out here and setting up a design agency, or working freelance, unless I could somehow pay a Honolulu mortgage working my dream job as a bartender at the Waikiki Elks Club. Every time, a few days in, I experience a moment of mild panic when I look out at the ocean and think about being thousands of miles from anywhere. The thought never quite leaves my mind for the rest of the trip. There’s a Honolulu radio station that plays what it calls the “rock you live on,” and the phrase leaves me feeling uneasy. Our friends talk about having bouts of island fever. I wonder if I would be particularly susceptible to it. One of Honolulu’s many pleasures is an abundance of great Japanese restaurants. I went to one with our friends, a family placr with a big dining room and one of those menus that’s like a book. To start, we ordered something called a Russian Roulette roll, just on the hunch that anything with that name would be good, or at least fun to talk about later. It was both, after a fashion, a setup of six pieces of tuna maki, with one, the waiter explained, hiding a huge chunk of wasabi under the fish. There was a shot glass in the middle of the plate. Anothet waiter arrived, carrying a large jar full of a yellowish liquid, with what was obviously a snake coiled at the bottom. He told us the stuff is a liqueur called habashu, and comes from Okinawa. It was obvious what you’re supposed to do if you wind up with the wasabi bomb. Both, and the both in combination, made for quite an experience, even if I didn’t taste much of what came after. The beaches are everywhere and amazing. But for my money, the hikes are better. The other day, I hiked up one of the volcanic ridges that extend into the center of the islans. I hiked up for an hour and a half, through clouds and mist, to a summit that gives a view out to Oahu’s western mountains in one direction, and up to Kailua, on the island’s windward side, in the other. The trail was muddy from near-constant rain, and, in spots, only five or so feet wide, with what looked to be a thousand-foot vertical drop on either side. I wondered, if you fall, would your fall be cushioned or even stopped by the incredibly dense thickets of ferns, vines, and trees that cling to the sides of the ridge. My guess is no. I hiked up fairly fast, but came down slowly, so as not to slip. The wind howled the entire time. Wikipedia tells me there’s a Hawaiian wind god named Paka’a. The article doesn’t mention it, but I’m guessing he’s given to bellowing fits. I was alone on the trail the entire time. Sunday afternoon, I sat in Nico’s, a fish restaurant and bar by the port, watching the Cleveland Cavaliers beat the Golden State Warriors in Game 7 of the NBA finals. I grew up watching the Cavs, and setting them win was amazing and strange in about equal measure. I had a beer but stopped sipping it when they fell behind by 7 points. The bartender had such a deep tan and teeth so white, that had i seen her on the mainland, I’d have assumed both were artificial. When Kyrie Irving hit the winning shot, I screamed. No one else seemed more than mildly interested. I had the last sip of my beer, crying as I watched the players celebrate on a TV with the sound off. Everyone around me had turned their attention back to their drinks and their phones, and their baskets of fried ahi belly and rice. So many Clevelanders have scattered to so many places, I imagine I was one of thousands, maybe tens of thousands, of tiny atolls in a global archipelago of half-lonely joy. Where are all the Bay Area ferries? I live in the Bay Area and sometimes have to drive for work down to Silicon Valley from my home in Albany, which is north of Berkeley. The trip is around 43 miles, if memory serves, which is a fairly long distance for a commute, but not a drive that you’d think would regularly take two to two-and-a-half hours. And there are plenty of people who make the brutal drive down 880 to the Valley every day, and plenty more who shlep back and forth between the Valley and San Francisco, which is equally time-consuming and mind-numbing. There are some public bus and train options, and of course some companies have shuttles along these routes. But plenty of people can’t, or can’t easily, take advantage of either. 880 goes along the Bay for much of my drive and I’m always surprised, as I sit in stopped traffic with time to look around, to see how empty the Bay is. It’s quite large – Wikipedia tells me it’s around 12 miles wide by around 60 miles long – and most days there’s just not much going on out there. Which is crazy, when you think about it, because there would be seem to be a potentially huge demand for ferry service going both up and down, and across the bay. I’m thinking about this now because I’m in Stockholm with my family on vacation. Walking along the city’s waterfront, I’m struck not just by its beauty – which is considerable – but also by the number of ferries, mostly small, running both from the center to other areas of the city, and out to the hundreds of islands that fan from the city out into the Baltic. No doubt because Stockholm is so cut through with waterways, ferry service, both for leisure and commute travelers, seems much more extensive here than back home. There is some Bay Area commuter ferry service now. The main routes are between Marin County, on the north side of the bay, and SF, and into the city from Oakland on its east side. There is also fairly new ferry service from Oakland and Alameda, west of Oakland, and South San Francisco, which is a growing tech hub. But there’s nothing from Berkeley and the area around it, further north along the East Bay, where a couple of hundred thousand people live, including me. And there’s nothing that goes to the South Bay, which is where all the job growth is. That’s crazy. Why is the Bay Area ferry network so limited? I suspect the problem is that service is controlled by a government agency – the curiously named Water Emergency Transportation Authority – whose leadership seems aware of the problem but not at all keen to solve it. The above-linked SF Chronicle article quotes Nina Rannells, the agency’s director, as saying the Bay’s potential as a transit route is sadly “untapped” – but she adds that WETA’s network expansion plans are “always going to be… fairly modest.” Incredibly, in an area that’s among the richest in the world, where people pay through the nose to get from home to work, in bridge tolls, and BART, Caltrain, and bus fares, she cites the main obstacle as what the article’s author calls “the region’s limited transit dollars.” It seems incredible that WETA couldn’t cover the costs of even a major expansion, through a combination of fare revenue and either bonds or, ideally, private investment in new terminals and boats, in return for a share of revenue, along perhaps with some mix of other considerations – maybe the agency could sell terminal naming rights, for example, or give investors free in-terminal and on-board advertising for a time, or some such. The possibilities seem endless, if WETA’s leadership could only take off its public-agency blinders, to finding funding sources beyond tax revenue. WETA’s website does run down some fairly ambitious expansion plans, including adding new terminals in Berkeley and Redwood City, at the eastern edge of the Valley. On the Port of Redwood City site, there’s a more detailed rundown of terminal and service plans there, including a brief mention of what, to my mind, would be a key component of successful service – intermodal connections with local transit. But again, the approach outlined in these plans is myopic, and destined for failure, or success only over a very long term. WETA is clearly more interested in begging for public funding than in finding investment wherever it can be found. Also problematic is WETA’s big-project bias. 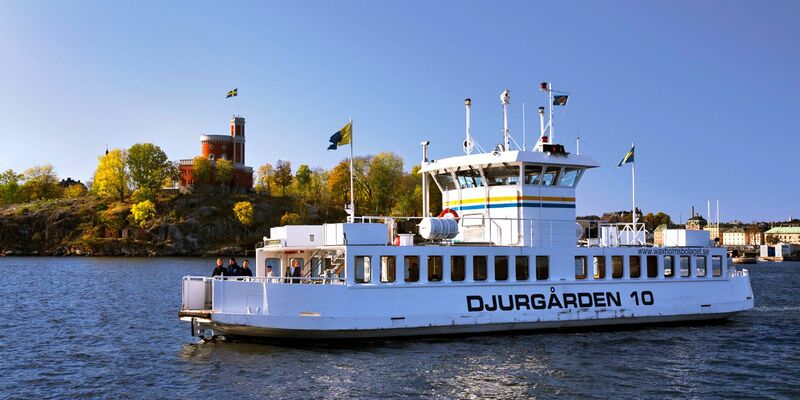 Its plans focus on building new, big terminals to handle big boats, rather than using existing infrastructure and accommodating smaller craft – which could extend all the way down in size, I’d imagine, to water taxis transporting, say, ten or twelve passengers. I realize big plans excite the imagination of politicians, and help sell bond issues and line up support from the public, as well as the contractors and unions who’ll benefit from expansion work and ongoing service. But new service could be launched right now, using terminals that sit idle or barely used – in Redwood City, for example – using small boats or even big ones, such as the 150-passenger catamarans Google used, in its pilot employee shuttle-ferry project of earlier this year. Perhaps the answer is new leadership at WETA. Or perhaps WETA needs to work more actively with private companies that want to launch either employee-shuttle or public ferry service to supplement existing offerings. Either way, WETA’s approach needs to change, or someone needs to get WETA out of the way. Its current approach is leaving millions of us sitting in cars, taking far too long to get to and from work, wasting time and energy we could all better spend doing something more productive, and winding up far more beaten down, at the end of the day, than if we’d zipped to work on a ferry. Bill James recently made the interesting comment, talking about changing views on steroids use by athletes, that “history coalesces only around an extreme position.” Let’s leave the odd locution aside for a minute and look at the issue he’s talking about, and his view on it. He means that for any controversial issue on which the dominant opinions are each extreme, in the end, one will win out, without there being a compromise. In the steroids example, he argues that while right now, most people—most sports fans, sportswriters, and sports officials—are resolutely in favor of banning steroid users and denying them the right to win awards and go into halls of fame, etc., down the line, we’ll see widespread acceptance of the other extreme position, that steroid use is no big deal and merits no punishment. Is James right about steroids? I think so. Steroids have been demonized but they are widely used as medicine and this use is increasing. Over time, as we all become more familiar with steroids, will we really see them as so different from, say, aspirin or cortisone? Both are performance-altering substances. And indeed we accept that athletes can use either or both, without deserving any punishment. The dividing line, in the received view, would seem rather to fall between substances that help athletes recover from a problem, to return to their “natural” physical state, and those that enhance their “natural” abilities. But what about coffee? Tony Gwynn, one of baseball’s best-ever hitters, is famous for having drunk enormous amounts of coffee while he played, before and during games. Coffee certainly heightens awareness and there are studies showing that it also improves athletic performance. And nobody cares that Tony Gwynn drank so much coffee&mdash;he was elected to the baseball Hall of Fame in his first year of eligibility. So the “recovery vs. enhancement” dividing line doesn’t hold either, at least when it comes to taking substances we accept as a part of everyday life. And as James notes, “more of us are going to be using more and more steroids for more and more things.” So even though steroids come from a lab rather than a berry, and enhance, or seem to enhance, performance, we’ll likely come to see them as an ordinary part of all of our everyday lives asas aspirin and perhaps even coffee. Meaning that like cortisone, we’ll be fine with athletes getting them from a doctor, to be used to treat some problem or other. And once this happens, it will be hard, or at least much harder, to argue, that we should punish athletes who took them, even if this wasn’t done under a doctor’s care. What about James’s argument about “history”? Here, I think, he’s less right, if not totally wrong. Yes, it’s true that in any number of instances in any number of societies, we can see that a position broadly perceived as radical, challenging a position seen as important to the identity and indeed the future survival of the society in question, can eventually win broad and seemingly total acceptance, against all odds, at least as those would have been set, at the outset of the debate. Think of the victory of abolitionism, in European and then US public opinion and politics, over the course of the 19th century. Think even of the&mdash;brief&mdash;victory of prohibitionism in the US in the early 20th century. There is also the civil rights struggle in the US south in the 50s and 60s, and, yes, I think James is right to cite, as a parallel to the current reaction against, and coming “so what” attitude about, steroids, the evolution of attitudes about gay marriage, Andrew Sullivan’s once-chimerical dream. But in each of these instances, did the radical vision really win, in the way James suggests? I’d suggest that the reality is more complex. Arno Mayer, in The Persistence of the Old Regime, a masterful study of 19th century Europe, stressed the backward-looking focus of the continent’s new bourgeois elite, which had risen to power by virtue of its having created a new, vital capitalist, trading economy, yet remained subservient to a nobility and royals whose power was based on moldy traditions and landed wealth that no longer much mattered. The bourgeoisie, and the previously radical position that there should be popular control over the state, had “won,” but this victory was everywhere tempered by the continued hold of an old elite on key levers of power, and, critically, of the terms by which power was defined. Even after the collapse of the European old order, in the First World War, the power of the old elite persisted&mdash;and persists today to a real degree, despite the arrival of democratic rule and decades of wealth taxes and redistribution, even in a place as nominally egalitarian as Sweden. As to gay marriage… It’s marriage. Yes, the acceptance of gay marriage is indeed a huge victory for the gay community&mdash;and indeed for anyone who cares about equal rights&mdash;but this “victory” is a compromise. Indeed Sullivan intended gay marriage to be a means by which gay rights could be advanced in accord with very traditional views on relationships and family. In his famous New Republic article advocating for gay marriage, he pooh-poohed domestic partnership as too un-traditional, arguing that “the concept of domestic partnership chips away at the prestige of traditional relationships and undermines the priority we give them.” His victory, ultimately, is the victory of tradition&mdash;redefined, yes, but still recognizable, to the point that a generation or two down the line, many people might well wonder what the fuss was all about. Back to steroids, and Bill James. Yes, all the best ballplayers of the post-strike era, steroid-taking sluggers included, will eventually get into the Hall of Fame. To my mind, they should be in there now, because there is a legitimate question whether steroids actually improve performance significantly and in the long run, and anyway there are plenty of guys in the Hall who did amphetamines, or otherwise played outside the rules, as a way to get an edge. Cheating at the margins is as much a part of baseball tradition as balls hand-sewn in Haiti. Moreover, as James himself says, we’ll all come soon enough to see steroids as just part of life. But when this happens, this won’t represent the victory of an extreme position. Or not just. Rather, it will represent the redefinition of a tradition by which we see sports as a competition among athletes who’ve made the most, by everyday means, of their “natural” abilities. The distinction is important, I think, because without the persistence of this tradition, in the minds of people who care about the game&mdash;not just writers and players, but, above all, fans&mdash;baseball would become something very different. A baseball that preserves that tradition, even by redefining it to include practices that now seem abhorrent to so many, is still a sport, in the standard sense. The key being not just suspense about outcomes and the thrill of watching athletic feats, but also the sense that those performing those feats represent the best of ordinary humanity&mdash;what anyone could be, given some natural talent and incredibly hard work. Absent that, and thus absent the deep connection between fans and players, baseball, like any sport, would become a lot like the circus, or any other show or spectacle that makes no pretense that it, or its performers, bears any relation to those who watch it, or their everyday lives. And thus it would be much less compelling, not to say much less popular and lucrative as a business. Preserving its traditions, however that’s done, is essential to baseball’s survivals. Leaving the best players of the 80s, 90s, and early 2000s out of its Hall of Fame would be, in essence, an admission by baseball’s leaders that it had let itself become something other than a sport, for a significant length of time. That’s too great a risk for baseball to bear. Better to let evolving attitudes about steroids carry everyone to a point when it’s possible to say that really, nothing bad happened then at all, and baseball’s traditions were never put at risk. Even if those traditions are, by then, much different than what they seem to be now. Reading today’s FT on the upcoming European Parliament elections, I’m all the more convinced that Europe is in for a period of politics dominated by a renascent national socialism. As I’ve written before, this will be far kinder and gentler than anything from the 30s and early 40s, and on its face, might not seem to have anything in common with the fascism of that era. But again we see the rise of parties and politicians who promise to take far more active control over all manner of economic activity – especially the movement of money and people across borders – in order, in turn, to redistribute wealth and power to members of in-groups defined along explicitly national and in some cases ethnic lines. This movement – and at this point, I think, it’s indisputably a movement – profits from the frustrations of voters all across Europe, who feel they’ve lost control over their local affairs, to the EU, to foreigners, to big business, and in the bargain they’ve gotten little. I think that contrary to what one reads in the mainstream press, this development is not all negative. The EU is a fundamentally un-democratic institution. Under pressure from MEPs and national-level leaders demanding more of a say in how it divvies up resources and wields its enormous administrative power, it can only become both less powerful and more democratic, and that’s all to the good. The bad, however, is indeed bad. Particularly worrisome is the anti-immigrant sentiment common to the various neo-right parties. Also a problem: many of these groups, notably the French FN and the left of the French Socialist Party, are explicitly dirigiste in their economic views. They may well want more power returned from Brussels to national-level leaders. But they also want the latter to make active use of bad-old-days practices such as nationalization and radically restricting the right of foreigners to buy “native” assets. What’s to be done about this? I don’t think mainstream parties can fight this trend without a radical change in an area that seems, to most, to be only tangentially related to the problems that have so pissed off so many European voters. The change that needs to happen is in European monetary policy. As Scott Sumner and Ambrose Evans-Pritchard have written, the real problem in Europe, the one that underlies so many of Europe’s other problems, is exceptionally tight money. That is, the far too slow growth, for some years now, in the supply of Euros issued by the ECB. Too few Euros on the market radically limits both available credit and investment options. Moreover, investors believe – and are right to believe – that this will continue indefinitely. So investment is meager, with too much money sitting in banks or sent elsewhere. The result is stagnation and in some countries, active contraction. In a few countries, notably Germany, the economy is so efficiently run that there are still investment options, and the local pie is still growing, a bit. The result is an electorate that’s not as pessimistic and angry. And in turn, the German neo-right is still relatively small and its views more mainstream, if only just. But in so many other places – including the other two of Europe’s big three, the UK and especially France – the neo-right parties are both more popular and more worrisome. The European parliament, after tomorrow’s vote, will likely be dominated by these parties. Will it find a way to take direct control over the ECB, and force the bank’s leadership to change course in monetary policy? I doubt it. The problem is that if anything, these parties and their leaders are more dirigiste, as a whole, in their economic views than are most mainstream parties. They want more control for politicians and government institutions, not a state or a supra-state that, by looser money or other means, puts more economic might in the hands of private investors and ordinary citizens. And for most of them, control over immigration and EU regulation are the key issues, with monetary policy an afterthought. So while we may well see some real power devolve to the national level, the ECB won’t likely be pressured to do much different, anytime soon. It will continue to fumble along, making “rookie mistakes” such as treating low interest rates as a sign of easy money, and focusing on making weak economies push through harsh austerity plans. Just as the US Federal Reserve did, in the 30s. In politics, the nationalist neo-right will likely continue to boom, as its moves to close immigration and re-distribute power and resources win it, at least at the beginning, even more popularity. Just as fascist parties did, in the 30s. Throughout Europe, many more may well come to see that these parties have the answer to help Europe escape a period of stagnation and ennui that seems to have gone on forever. Neo-fascism will in turn become at once more powerful, and more virulent. Just as in the 30s. How far this goes is up to the ECB. And that’s what worries me. Could ultimate frisbee be the next big US spectator sport? This can’t seem likely, I realize, given most Americans’ unfamiliarity with the game, and the limited interest in the two professional leagues that have been launched recently. Still, I think frisbee’s chances of success – if we take success to mean a level of general interest, and revenues, at least as great as pro US soccer within one generation, and hockey, in two – are pretty good. Shouldn’t soccer be in this position? Millions of American kids play it, and this has been true for, what, 30 years or so? So what. Millions of kids play recorder and floor hockey. At the risk of being at once unoriginal and a romantic, I’d say that soccer’s problem, as a rising spectator sport, is that it’s not American enough. Spectator sports become big because they make people feel connected to something in their imagined common past, and then, by watching a match or game, let them share that memory with people like them, thus coming to feel part of a common community. Soccer, in the US, doesn’t work like that. Perhaps this could come to happen, were the US team to win a World Cup, attendance to rise, revenues to increase, and the best US players, and the best players from elsewhere, start their careers here, in significant numbers. Then soccer would come to seem a more American thing. But the competition, both from other countries’ teams, and other countries’ leagues, is too fierce, I think, for this to happen anytime soon. Frisbee, on the other hand, could not be more American. Moreover – and significantly, I think – it could not be more Californian. And California, particularly the Bay Area, where ultimate is most popular, not only drives the American economy, but, more and more, with the rise of tech and tech culture, is reshaping American society as well. Ultimate, as the – ahem – ultimate California game, is poised, I think, to rise to prominence much as have, in the past, baseball – the ultimate rural American pastime, in the late 19th and early 20th centuries; and the football – the ultimate industrial-area pastime, in the early to mid-20th century; and basketball, the ultimate rural Midwestern, and then urban pastime, starting in the mid-20th century. The cultural power of the Bay Area, and everything associated with it, will only grow over the course of the 21st century. If one of the new ultimate leagues can successfully position itself as the sport most representative of that culture, its success, I think, will be assured. Was 20th century really that great? This is the question that occurred to me as I was reading the New York Times article about the latest MOMA expansion. I understand the Glenn Lowry, the MOMA’s director, wants to make the museum into more of an all-around cultural center, and this expansion is meant in part to serve that. And perhaps this strategy is a way of future-proofing the MOMA as an institution, should the public become suddenly less interested in paying the MOMA’s quite hefty entrance fees, in order to see its collection of 20th century art. But the MOMA, however it diversifies, is fundamentally about that art, and to the extent it can attract visitors to its various other events, many if not most are coming not just for the events themselves, but because they perceive that the venue, as the premiere museum for that art, is, if not necessarily cool, certainly august, in some vaguely still cool fashion, and thus worth being associated with. What if that changes? Think of the history paintings of Europe in the mid-19th century. They were all the rage, and their painters vaunted above all others, until… They weren’t. The fall, if not a fast one, was in the end quite resolute, and neither the paintings nor their painters have recovered in reputation. And even if the same doesn’t befall the reputations of Picasso, Miro, and Pollock, will those artists be enough to pull in the big crowds, once those folks decide that seeing one or two work by each, every few years, is enough, and all the Marsden Hartleys and Clyfford Stills just aren’t a draw at all. Then what will happen to the MOMA? Big institutions, the bigger they get, and the more grandiose their expansions, become ever more dependent on ever-greater revenue streams, and often in their sensible attempts to do this by moving into new businesses, they fail. To take a possible analogue from a different business, think of AT&T and its building a monumental headquarters in the midtown, and very quickly having to move and rent the place out, because It couldn’t make enough money to afford to stay, as it faced ever-more-vigorous competition from low-cost upstarts. Is MOMA really going to compete, in its various happenings, with other younger, more nimble institutions? Perhaps yes, while it can still draw crowds from the increasingly older market segment, for which, say, the first sight of Picasso’s Les Demoiselles was both an aesthetic revelation and a bearer of new insight into the multiplicity and ultimate subjectivity of perspectives on the world. For anyone my age and younger – I’m in my late 40s – Picasso and his paintings, and this insight, are interesting and aesthetically appealing, but more historical artifacts than anything else. We may well all say the same about a half-empty MOMA, not so long down the road. Why can’t country divorce be easier? In the US in the 70s, divorce suddenly became o.k.. That is, it became acceptable for married couples to say that things hadn’t worked out, and then split up. Divorced people not only began to fill Updike novels, but were, in the course of time, accepted by and large everywhere as perfectly normal, and went about their lives, often remarrying and even having new families, and no one had to wear a big letter D on his or her chest. The legal changes boiled down to one person being enough to initiate a divorce, but of course this wasn’t so much a cause as an effect of a broader social change: women increasingly gaining respect as equals to men, and thus capable of making the decision to end a marriage on their own. Because in most cases, certainly early on in the divorce boom, it was the women who wanted to get out. Why can’t country divorce be like this? I wonder if what we’re seeing now, in Scotland, Catalonia, and perhaps also – with serious qualifications – Ukraine, is the beginnings of a change in attitudes about what it means for countries to break up. Or rather, for one group of people, living in a contiguous area, to break up with their neighbors, leaving the nation-state they’ve shared and either forming their own or joining another. It seems to me that the 21st century could be the century of country divorce. There may well be an evolution of attitudes ongoing, one that will bring the coalescence of a new set of broadly accepted rules and procedures for these breakups. The key being not the consent of both parties – as in the Czechoslovakia breakup – but rather the breakers-away deciding themselves, by democratic vote, and by some generally taken-to-be-decisive supermajority – perhaps two-thirds “ayes” – to leave. Not everyone shares the new attitudes, and perhaps some of the folks espousing them are cranks. Separatism of all sorts has traditionally been confined to the margins of politics. But Artur Mas and Alex Salmond are perfectly normal politicians, and in setting up independence referenda and advocating for them, they’ve used perfectly legal means, if pushing, particularly in Mas’s case, into grey areas of the law of Spain. They’ve made arguments that, if perhaps too much colored by the romantic for most contemporary taste, aren’t the stuff of nut-jobs. I would argue they’re something like the divorce advocates of the early 70s, who pushed for others to adopt attitudes that theretofore had been acceptable only among urban libertines, mostly of the larger coastal cities, who were certainly marginal to American society as a whole. I can’t say anything about anyone down in Crimea, and anyway, given different attitudes about the nation and the state, and the shaky hold of meaningful democracy in that part of the world, this is clearly a very different case from the other two. Also, it must be said, Putin’s methods of breaking Crimea away from Ukraine are repulsive. Hillary Clinton is quite right, I think, to compare him to Hitler and this to the case of the Sudetenland. That said, from what I heard during several years of living in Russia, and from talking to my Russian friends now, I would gather that a truly free vote were held in Crimea – perhaps in a couple of decades, using procedures worked out in Scotland and Catalonia – independence or unification with Russia would win easily. So of course outsiders can screw everything up, as in Ukraine now. Let’s say, though, that the outsider isn’t a horrid jerk who’s moved into your house without asking and is sleeping downstairs on the couch with your wife, threatening your kids if they complain to the neighbors about the setup. O.k., perhaps he’s a jerk, and yes, he’s had a fling with your wife. But he hasn’t moved in, and if, perhaps, he and your wife have slept together, those things do happen – we accept that now, as an unpleasantness of life for some, as part of a transition to an aloneness or being-in-a-new-coupleness for others. Even leaving one country not to be another, but to join another, might well be, one day, just one of those things that happen. With everyone at least being civil to one another afterward, when they run into each other in the grocery store. The change in attitudes about such things hasn’t taken hold widely, of course. We can see that in the huffiness, for example, of not only most British and nearly all Spanish politicians outside Catalonia, but also in the pronouncements of various EU officials, who shouldn’t really have any stake in either instance but have made clear they as one hold traditional anti-secessionist views, in their every pronouncement on the forthcoming Scottish and Catalonian referenda. The sanctity of marriage, before meaningful self-determination, for all of them, it seems. Moreover, there isn’t yet anything like an accepted set of procedures to guide the process of secession. But this is always the case with new political ideals, and the procedures for making them real. Think of the popular vote, before the standard procedures for that came to be broadly accepted as such worldwide, in the long aftermath of the Second World War. (These were even honored in the breech, by the fake elections held throughout the socialist world, with the de-democratization largely confined to the stage of choosing candidates, not by having secret policemen follow anyone into the voting booth.) Or think of the system of parties using primary elections to choose their candidates. This is used in only a few countries even now. But the system is spreading elsewhere, if slowly, and I’m sure it will be commonly accepted as necessary to democracy everywhere, within a few decades. And why shouldn’t secession be available too to states and provinces, counties and district, and cities, within countries – that is, to those who’d form new ones, by breaking off from the ones they occupy now? It seems to me this will be the logical next step. If we all hold as valid the notion that political entities are formed by the active choice of those who inhabit them, how could it be otherwise? Really this is only what follows Locke, at least in my reading. Absent this active choice – which, it seems to me, should certainly be able to be re-made, not made only once – how can any political entity be legitimate? And how can we be that far, I think, from this notion becoming widely accepted, as part of the received canon of ideas, about how people can and should decide how best to rule themselves?